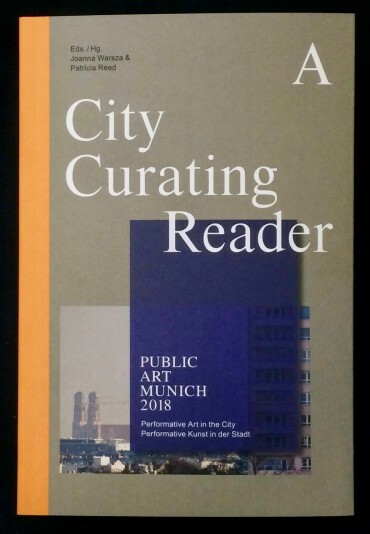 With its two titles the publication Quotation Marks or „ ” appears as both a catalogue and an artist’s book and accompanies Michael Schmid’s work via photography and pictorial representation into physical space and then back into the form of a book. The architecture of a book and the exhibition space are reflected in the structural elements of the photographic medium. Born in Langenau, Germany, 1981, lives and works in Berlin. Education: University of the Arts Bremen, Fine Arts, Master Student Degree, 2014 with Korpys/Löffler, University of the Arts Bremen, Fine Arts, Diploma Examination Degree, 2013 with Korpys/Löffler, Franka Hörnschemeyer, Academy of Visual Arts, Leipzig, Photography Class with Beate Gütschow, 2010. Publications: „Quotation Marks”, Verlag für Moderne Kunst, Vienna, AT, 2018 „SHOW“, 2015, Barbara Oberem Gallery, Bremen „Kunst und Küche”, Kunstmuseum Villa Zanders, Bergisch Gladbach, 2014 „Of The Universe”, Weserburg, Museum für Moderne Kunst, Bremen. Born in Shizuoka, Japan, 1984, lives and works in Vienna. Education 2005 – 2010 HfBK Städelschule, Simon Starling Class, Frankfurt am Main, 2009 – 2010 Royal Danish Academy of Fine Art (as an exchange student), Copenhagen. Curatorial projects (selection): 2017 “Avi Beracha: Pottery”, Florian Pumhösl Studio, Vienna 2016-2017 “Stranded at Schwimmen-zwei-Vögel”, Cinema program, Mumok Kino, Vienna, 2014 “F. Hodler”, Two-person show by Willem Oorebeek and Robin Vanbesien pinacoteca, Vienna “To take a landscape from”, Neue Galerie, Innsbruck (with Elisabeth Kihlström) 2013 “Curated by Ilse Lafer”, Post Chimney (with Elisabeth Kihlström) “Luster”, solo show by Amy Croft, Schneiderei, Vienna “Composition as Explanation”, solo show by Constanze Schweiger, Schneiderei, Vienna “eins zwei drei vier” , Video works by Stefan Lux, Schneiderei, Vienna “duchampeinereretrospektivevonfranzpart”, solo show by Franz Part, Schneiderei, Vienna “Screening by Constanze Ruhm”, Schneiderei, Vienna “Constanze Schweiger/Robert Rauschenberg”, Schneiderei, Vienna “Hannes Böck/Anna Hofbauer”, Schneiderei, Vienna, 2009 “Cecelia Condit: Works 1983 – 2008”, Platform Sarai, Frankfurt. Use of time is a research project on our relation to time. Each presentation of the project and its archive is made with an artist. This third presentation will feature an on site work by Daniel Gustav Cramer. Use of time is a project led by Nicolas Giraud and the students of the french école nationale supérieure de la photographie. 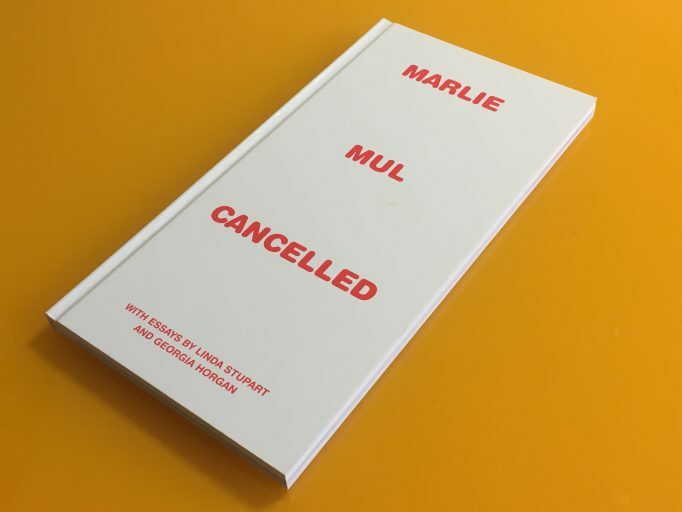 Please join us on Thursday February 7th from 7 till 10 PM at Motto for the book launch of CANCELLED, a new book by Marlie Mul that addresses her public cancellation of a solo exhibition that had been planned to open in May 2017 at the Gallery of Modern Art (GoMA) in Glasgow, Scotland. 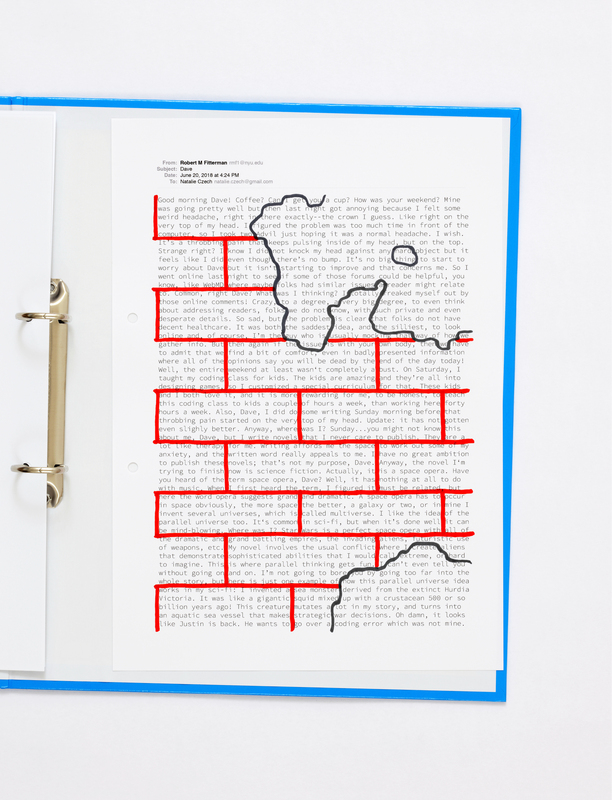 Designed by Maximage, the book brings together photographs of the cancellation’s billboards, and texts by Marlie Mul, Linda Stupart and Georgia Horgan. Reading by Marlie Mul at 7:30PM sharp. PIN. Freunde der Pinakothek der Moderne e.V. Munich. Join us to pick a copy, get a drink and review PAM2018 with us! 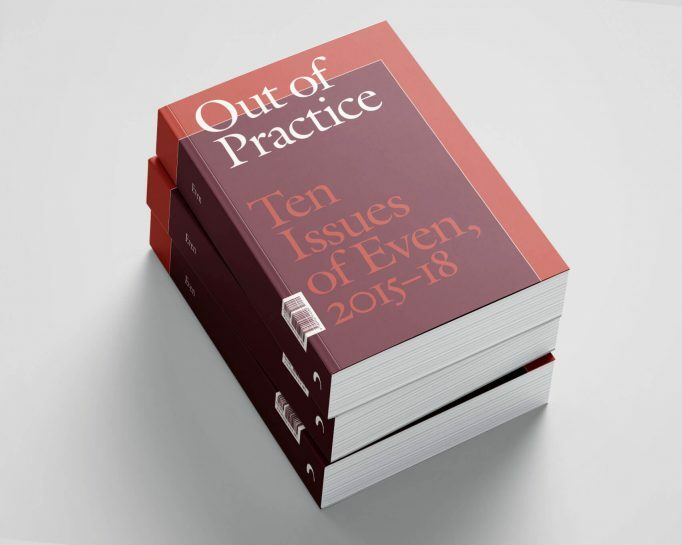 Please join us for an afternoon of programming to celebrate the launch of the anthology Out of Practice: Ten Issues of Even, 2015-2018, presented alongside a pop-up bookstore by Motto (from 12pm). 4:00PM | History is Contemporary — A panel discussion on one of the major themes in Even: how history resonates within new institutions. 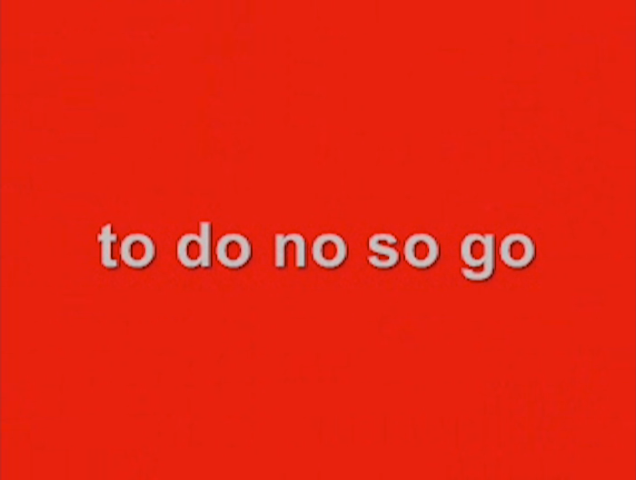 5PM | Screening: Brune Renault (2009) by Neïl Beloufa, the French artist and filmmaker interviewed in Even No. 3. 5:30PM | Technology is Personality — A panel discussion on the most current of Even’s major themes: how technology is changing the performance of personality. 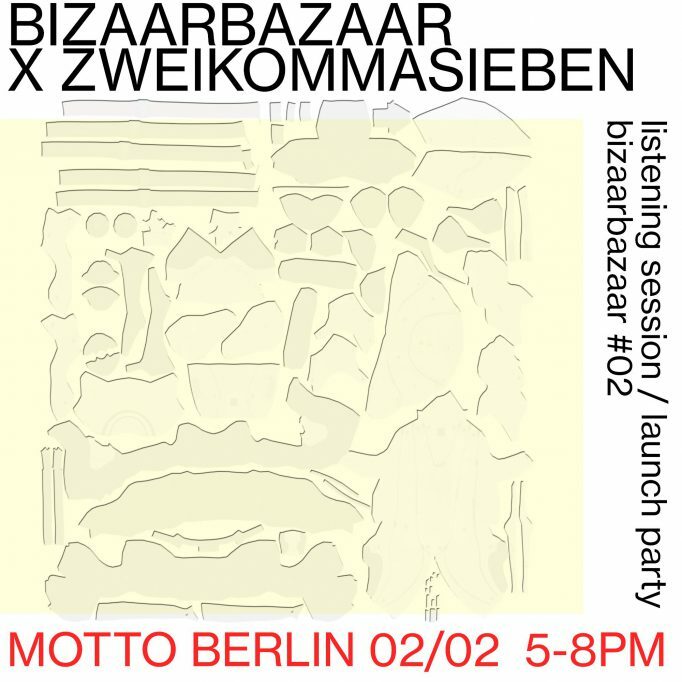 Motto Books will present a temporary bookstore held in the Swiss Institute library. 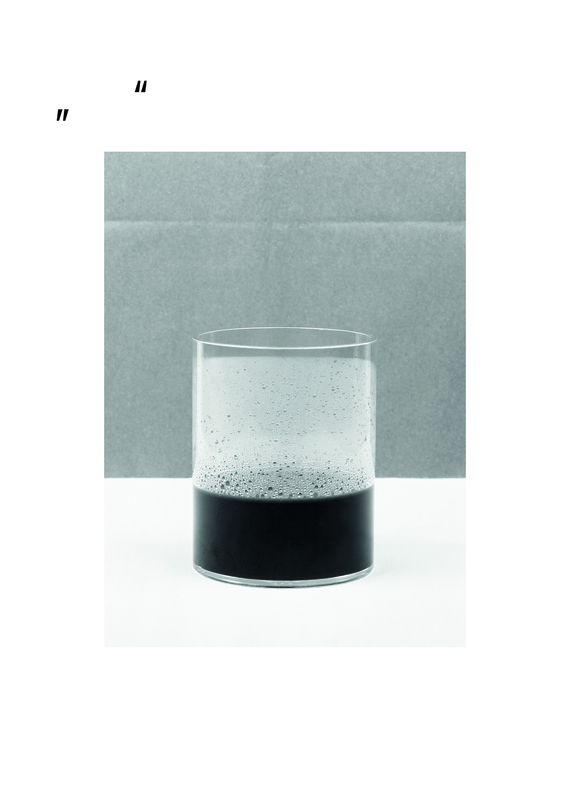 For this occasion, Motto will offer a selection of titles which resonate with the wide range of themes discussed in Even, from artists publications to art theory and critical discourse. Frederick Deknatel is senior editor of World Politics Review and a former Fulbright fellow in Syria. Camille Henrot’s diverse artistic practice combines film, drawing, and sculpture. She lives and works in New York. Cory Arcangel and Olia Lialina Book Launch. Nov 8, 2018. Join us for the launch of Asymmetrical Response, the exhibition catalog of Cory Arcangel and Olia Lialina’s show of the same name (Western Front, Vancouver. Sep 9 – Oct 22, 2016). Designed by Manuel Buerger, the book includes essays, images, a script for a play written by Olia and a CD containing tracks from Cory’s AUDMCRS Underground Dance Music Collection of Recorded Sound as DJ’d by DJ regularfantasy aka DJ Silk. Published by Western Front and Koenig Books ltd.